@AmandaRantsAlot and I will then be writing a new @DCComics #WonderWoman series starting in issue 3 in the #JLA TITLE. As soon as I can get an okay to tell you who the artists are on this, I will let you know. I will just say they both have been working with us for a while! Wait till you see the paper quality and binding. its going to find a lot of new readers. 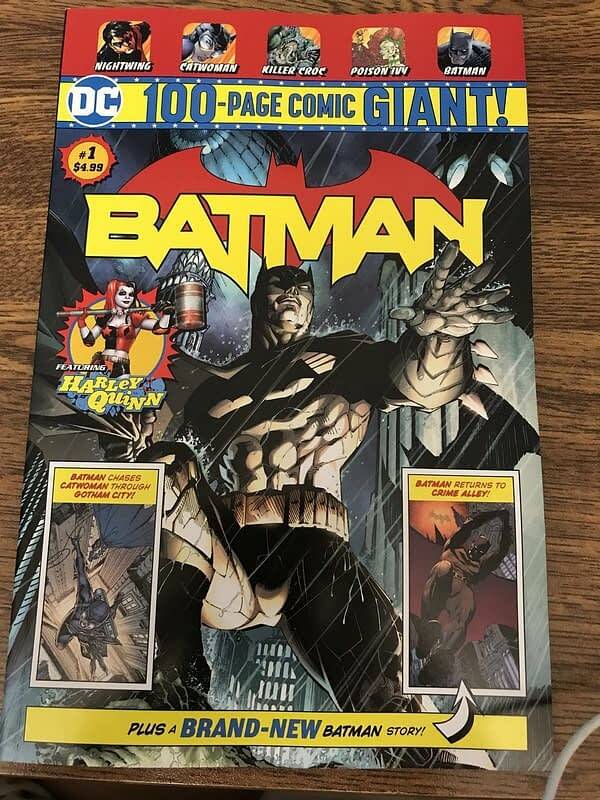 they said the stories will be collected for retailers to have them, since its only 12 pages of new material in the 100 pages mostly of reprints. That’s the first time we’ve heard how long these exclusive stories will be. Twelve pages an issue, out of the 100 pages. Add between 60 and 66 pages from the reprint issues, and that’s 22-28 pages an issue to be filled with editorial, ads, and covers. They allow stores to have exclusive covers. This is a store that owns over 3000 stores asking for 12 new pages of content that retailers can sell collected later in the year . I disagree with your assessment. And that’s also the first confirmation that the exclusive content will be collected separately later in 2018. Will that satisfy comic book retailers? Unlikely. But here’s Jimmy’s own copy of the first Batman title.